Setter play have worked closely with Schools, Local authorities and child psychologists to design a range of playground equipment that engages children and assists with their development. 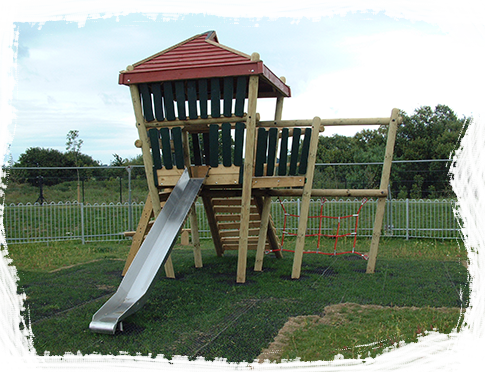 Because we design and manufacture all of our play equipment in house, we offer one of the largest ranges of play equipment in the UK. 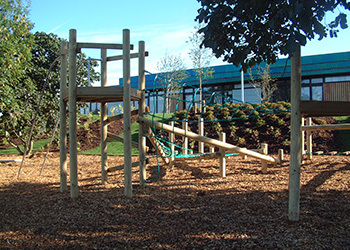 Setter play are the clear market leaders when it comes to the planning, design and installation of stunning play areas! 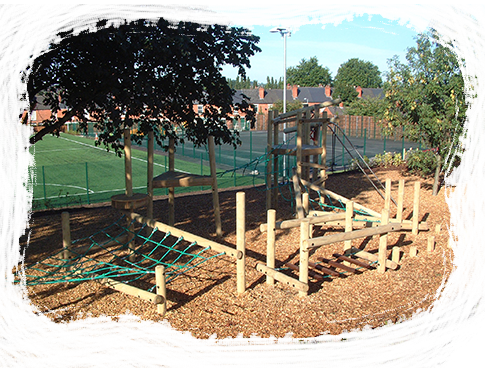 Setter play create beautiful, bespoke playgrounds that entertain, educate and inspire children of all ages. 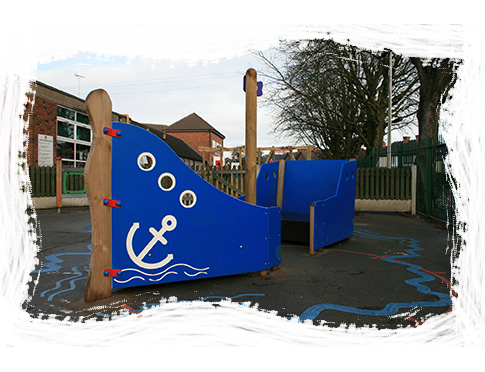 Are you looking for School Playground Equipment for your local play area, school or park? You’ve come to the right place! 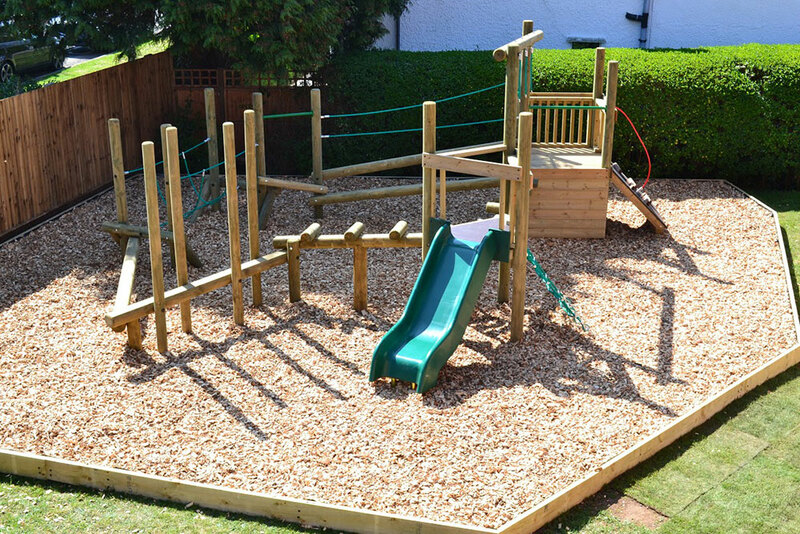 We are a family-run business located in Bedfordshire, specialising in design, manufacturing and installation, of beautifully crafted Wooden Play Areas that are perfect for any environment. Our range of equipment varies from activity trails, swings, benches, treehouses and canopies - browse our bespoke range today! At Setter Play, we are the specialists when it comes to designing safe School Playground Equipment. We have a bespoke range of equipment that is suitable for children of all ages and abilities, with our equipment offering suitability for everyone! 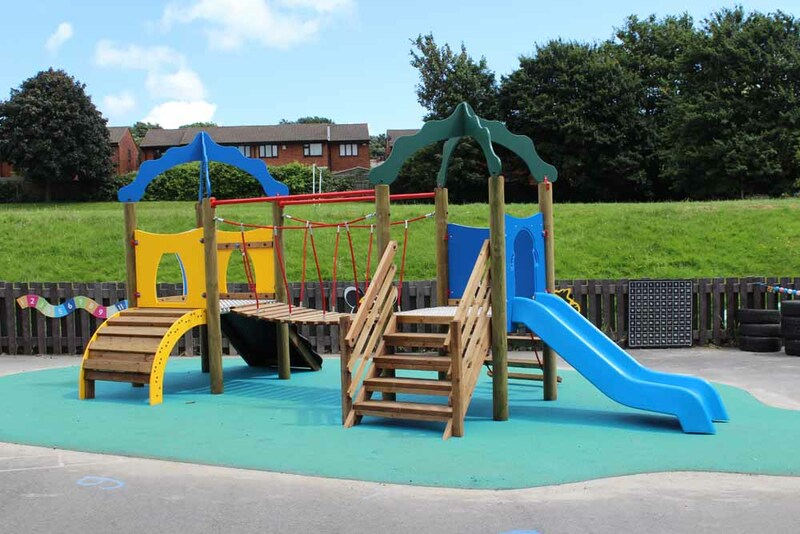 We all know how much enjoyment a playground has to offer; however, at Setter Play, we create playgrounds that are designed to suit your bespoke needs which can even offer educational value! Our school playground equipment can reflect your surroundings too, with our bespoke equipment being made to suit your specific needs with regards to space and individual preferences, guaranteeing children feel happy and at home as they play and learn! It goes without saying that children enjoy visiting parks - so much so, that they could stay there all day! Therefore, at Setter Play, we have designed School Playground Equipment that can assist the mental and physical development of junior and infant school children, making your visit to the play area an even more valuable experience. For any further information or advice, don’t hesitate to get in touch with one of our experts at Setter Play! Our abstract timber play units can be explored around the outside, up the inside, over the top and through the middle, challenging children to explore the three dimensional space the climbing frame occupies. There is no right or wrong way to play. We have returned to our origins of hand crafted timber based play units to provide an alternative to the manmade components such as aluminium, HDPE and steel that feature in other units in our range. Fundamental is our tried and tested range of play equipment featuring favourite designs and activities produced from tough durable components. Sport and fitness is an increasingly important part of primary school life, and Setter Play's sport and fitness designs and products are ideal for promoting a healthier lifestyle amongst young children. 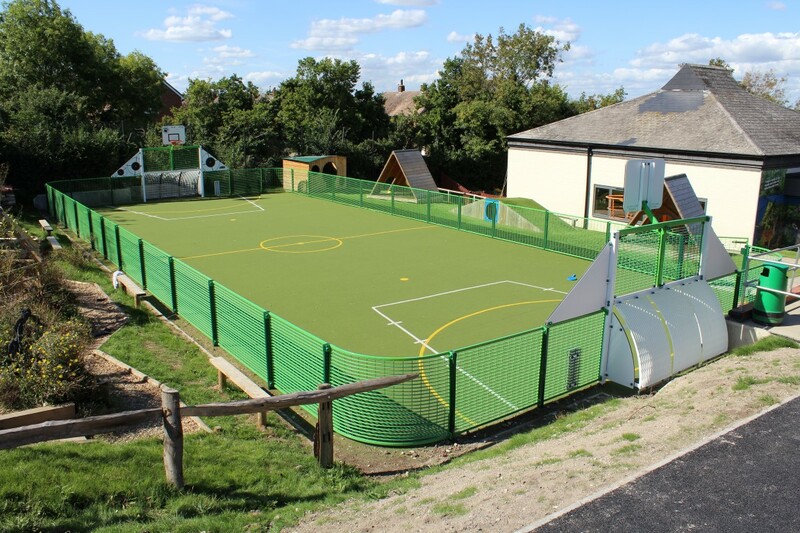 Setter Play design, manufacture and install Multi-use Game Areas, Sports Walls and Goal Ends that cater for a variety of different sports, including Football, Netball, Basketball, Hockey, Cricket, and Track and Field events. We also offer the full service, offering the requisite groundworks, levelling, and installation. From functional monopitch canopies, to graceful curved ones, Setter Play has 20 years' experience in providing pupils across the country with some all-weather accessible space and protection from the elements. The first and most important step of our playground design process is the free initial consultation. During the consultation we will discuss your project, your ideas, your goals, budget and requirements so that we can plan & design a bespoke playground that you will be delighted with. Once we have a full understanding of the scope and goals of your project, we begin thoroughly planning your new playground. During this stage we can advise on planning permission, funding options and safety & environmental considerations, as well as giving approximate timescales for each major milestone of the project. Our design process is completely bespoke. After we have fully planned out your project our designers will get to work on on the design of the layout, equipment placement and overall look and feel of the playground and produce high quality CAD drawings. 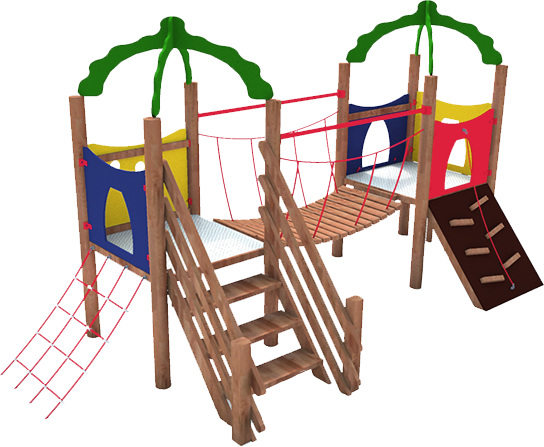 Once the design is complete and you have approved it, we will begin the process of manufacturing the play equipment that we have specified using only the best quality, sustainably sourced materials in our own in house facility. As a family run business with over 20 years experience in the industry, we pride ourselves on our customer service and after sales support. 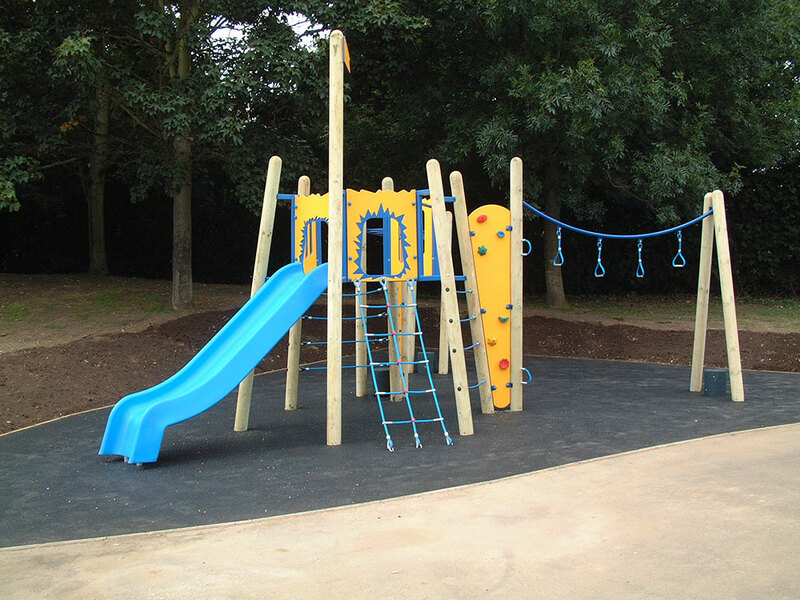 We manufacture all of our play equipment in house to exacting standards using only the best materials, which is why we are proud to offer guarantees of up to 15 years on our products. 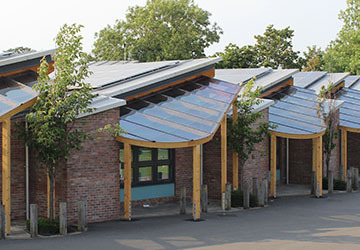 We are always here to provide our advice and expertise to schools, local authorities, architects and other specifiers. Whatever you need, with our wealth of experience we are confident that we'll be able to assist. Get in touch with us for our honest, no obligation advice. From the full design and installation of new playgrounds for schools and local authorities, to canopies and outdoor classrooms for community centres, if it involves play Setter have done it! Our case studies detail step by step how we have assisted with all aspects of playground planning, design and implementation from start to finish. Get in touch with Setter Play! Whether you need a quote for a new public or private installation, advice on play equipment and funding available, or information and spec sheets for our products, we're always happy to help.